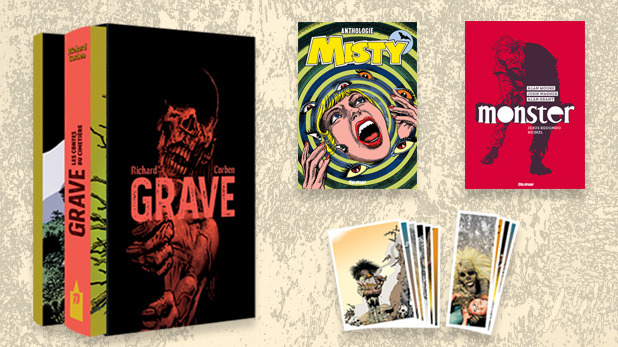 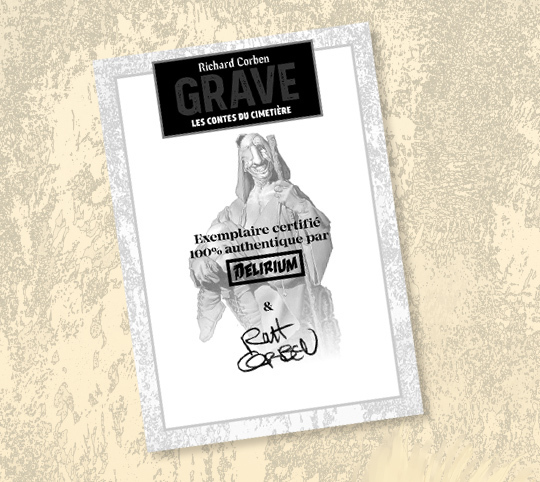 Discover Richard CORBEN’s latest creation in a limited edition with extra contents and signed certificates! 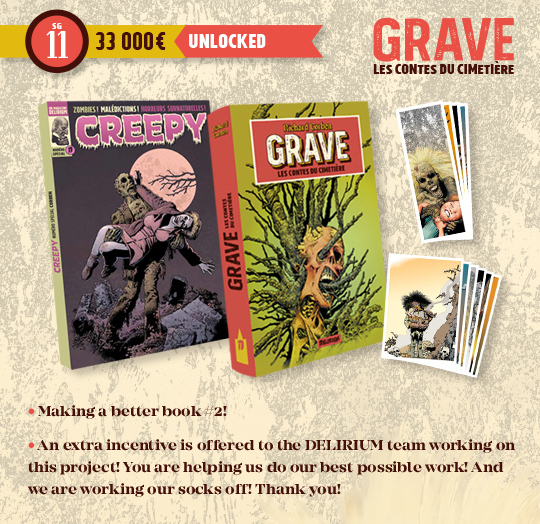 THANK YOU ALL FOR YOUR SUPPORT AND HELPING MAKE THIS PROJECT AN INCREDBLE SUCCESS ! 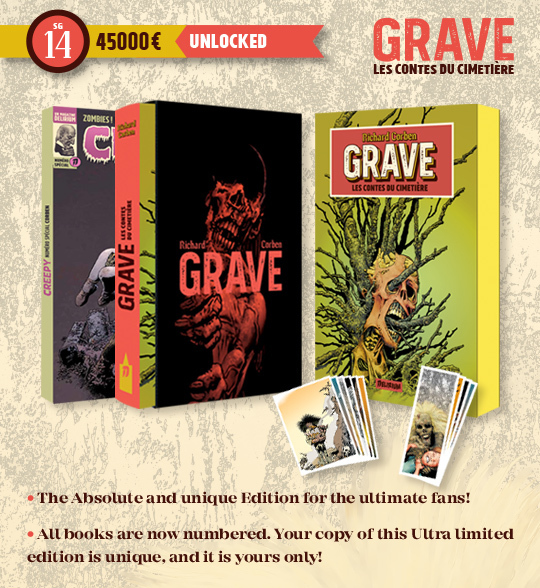 With your support we have unlocked ALL the goals we hoped for and we are currently making great progess in the making of this special edition. 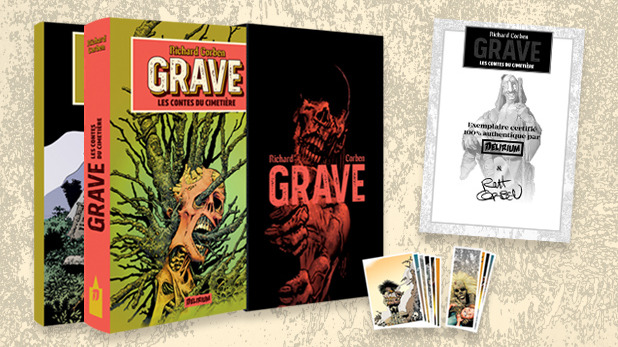 As of today, the translation is finished and being re-cheked. 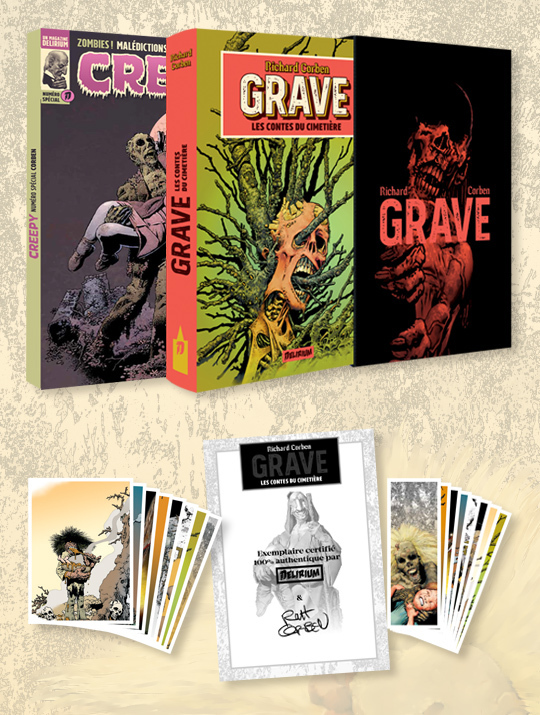 The design is almost complete and we should soon be able to send all the final files for print. 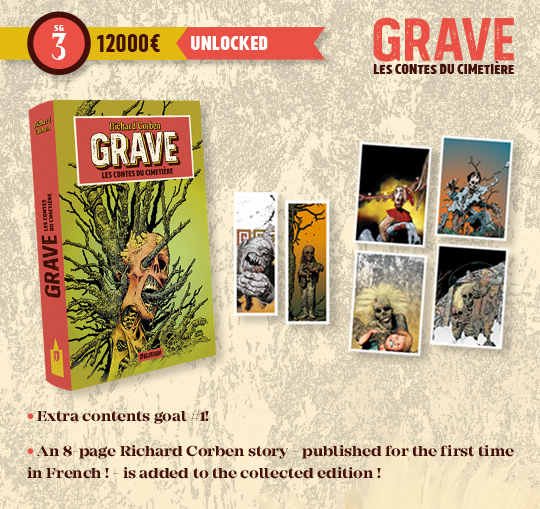 If we keep on making progress as we are, we should be able to hold the deadlines and you will get your copy in June! 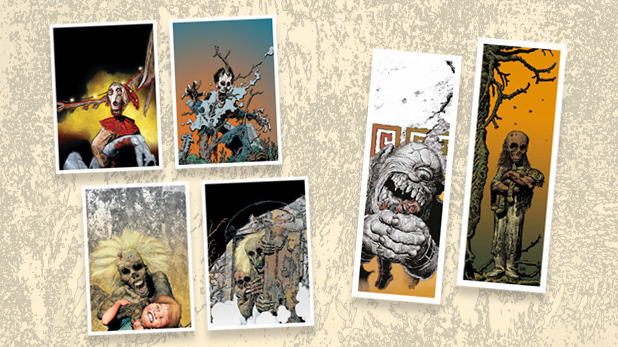 As we also mentionned, we will reprint very shortly the classic stories published in the two "CREEPY & EERIE Présentent Richard Corben" anthologies ! 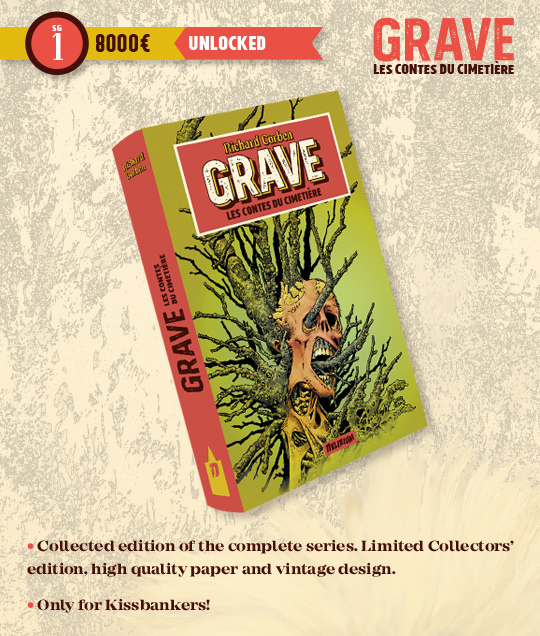 These two collected editions feature the astonishing early works published in the cult magazines and include several stories reprinted from new scans made directly from the original artpages! 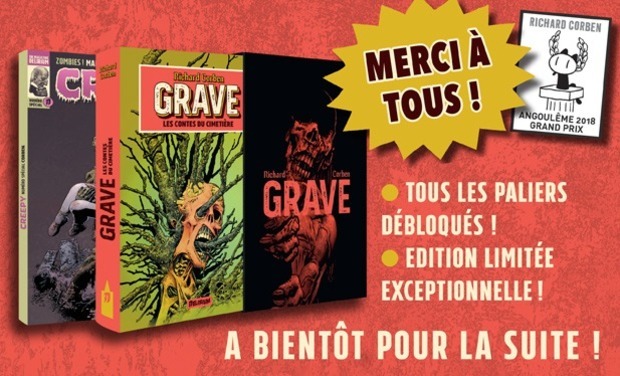 Thanks again for all you support! 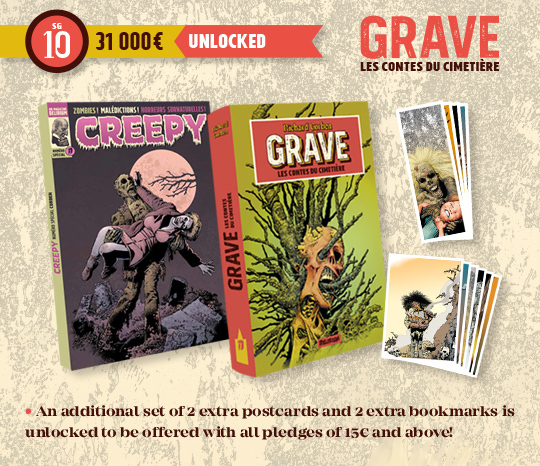 And be ready to see your copy very soon! 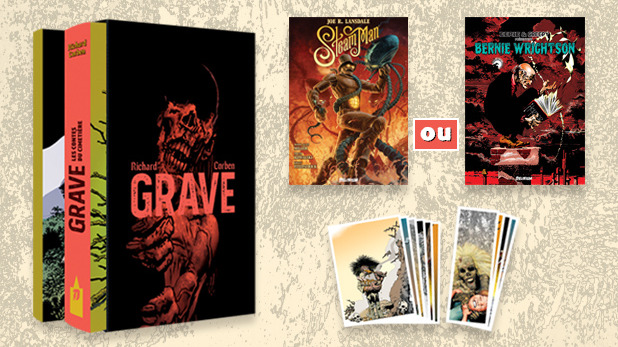 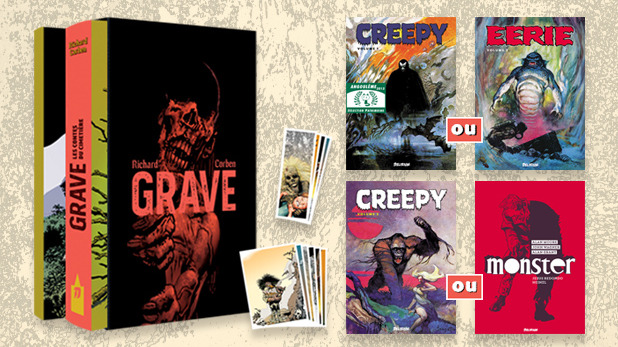 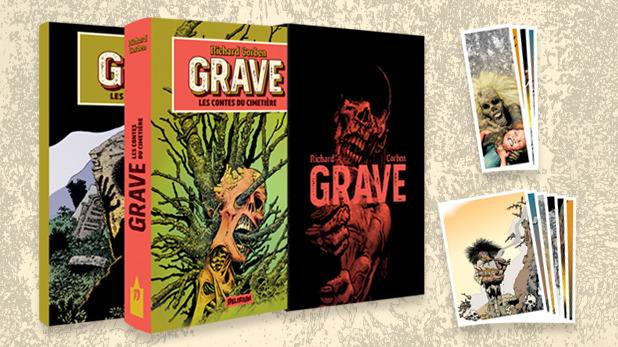 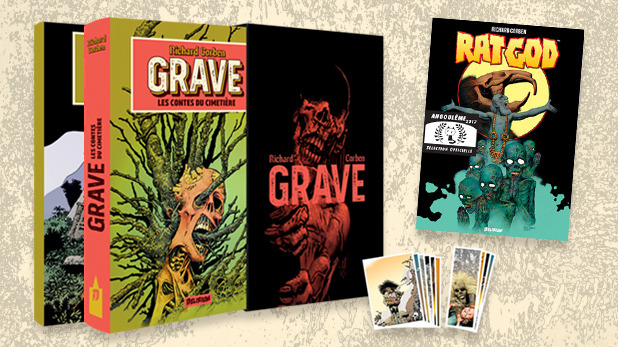 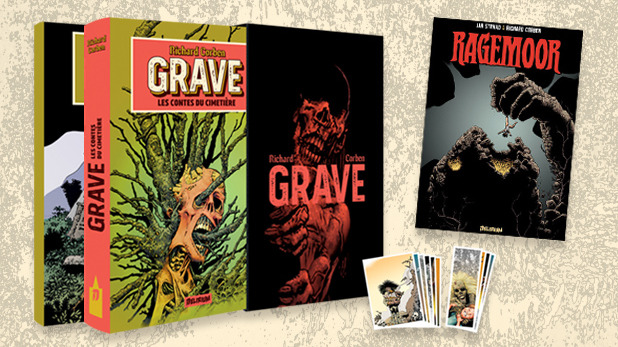 Be the first to discover the French edition of Richard CORBEN’s Shadows on the Grave in a small print collected edition. 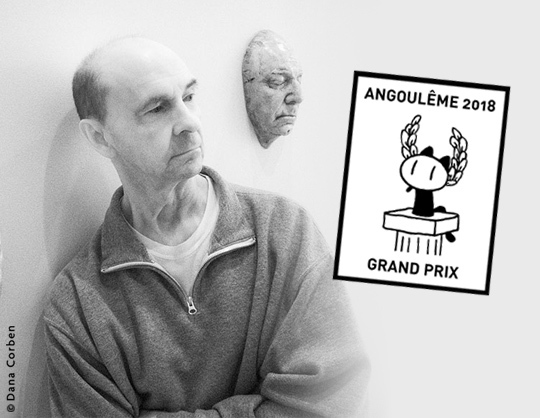 The 2018 GRAND PRIX of the Festival International d’Angoulême will even sign a limited number of certificates of authenticity which will be offered to the most generous Kissbankers supporting the project with contributions superior to a defined amount ! 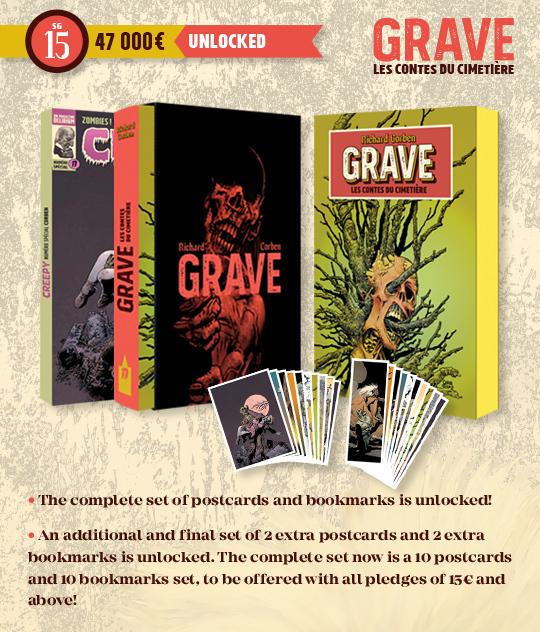 GRAVE, Les Contes du Cimetière (Shadows on the Grave), is the master of graphic fantasy and horror’s latest creation. 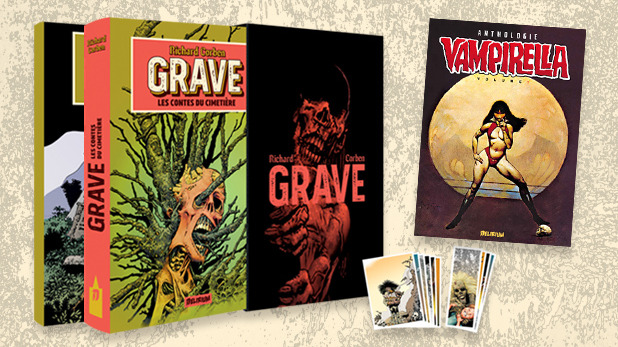 Written and drawn in reference to the classic horror comics such as EC’s famous Tales from the Crypt, or Jim Warren’s cult magazines CREEPY, EERIE or VAMPIRELLA, it was published in the US in 2016 and 2017. 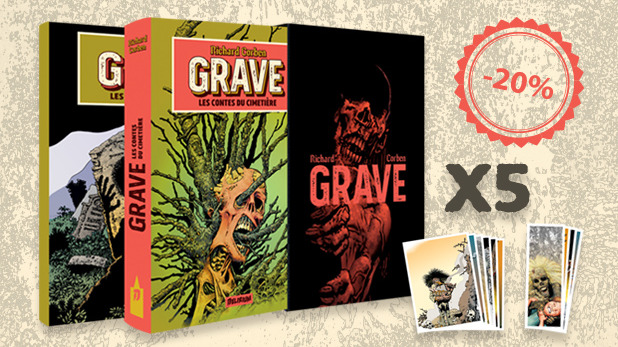 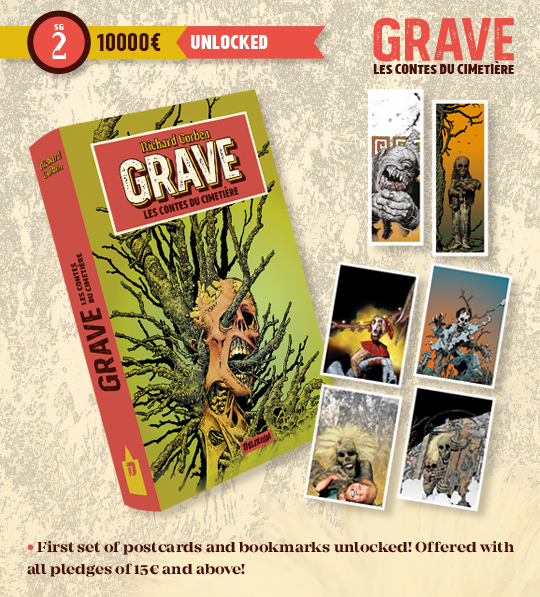 Our goal is to publish with your support a very special limited boxed edition with a classy vintage design, extra contents never published before in French, and for a very few number of devoted fans, a limited number of signed certificates of authenticity signed by Richard CORBEN himself! 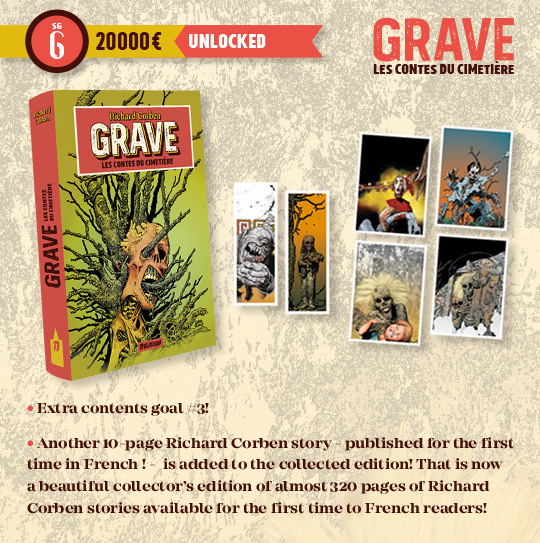 Renowned for the quality of our editions and our respect for the contents we publish, we have conceived this project as an exceptional edition designed as a tribute to the comic-book classics which has inspired the creation of GRAVE, Les Contes du Cimetière as well as to Richard CORBEN’s work, always done in total independence and dedication to his own favourite themes and inspirations. 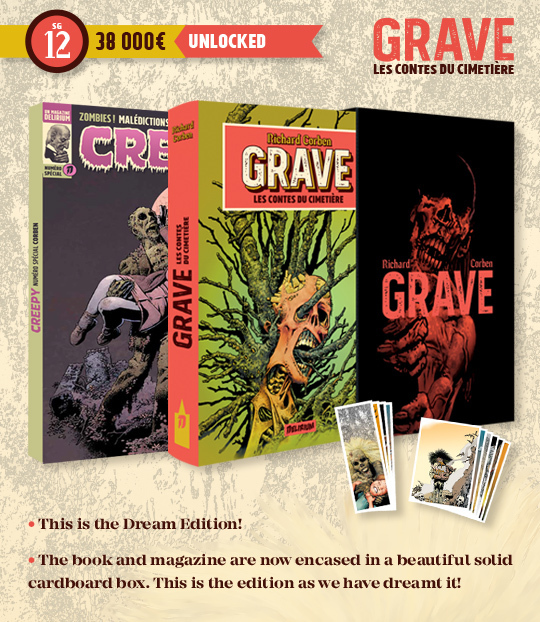 Such a project is virtually impossible to achieve for an independent publishing team made of a few passionate readers, unless it is done in direct link with others caring as much for great contents and nicely crafted books in limited print. 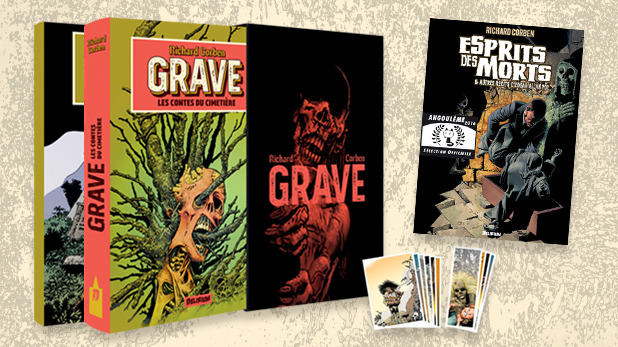 A great French edition must also be done with a great translator and we are blessed again to have Doug HEADLINE to work with us on this title! 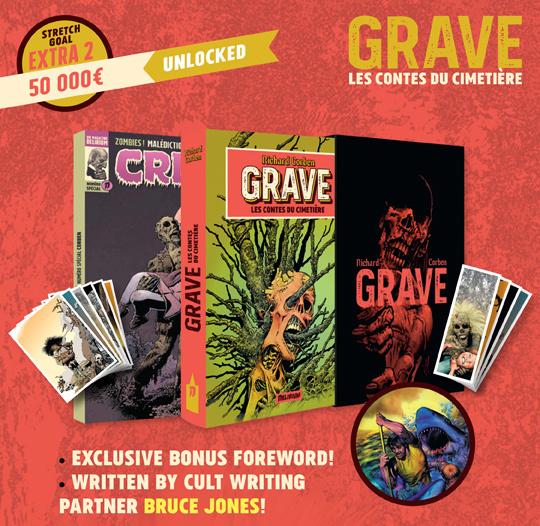 After the pleasure we had to work together on our now classic editions of the Creepy, Eerie and Vampirella anthologies, it all fitted naturally to work again with the former writer at Metal Hurlant, founder of the cult classic Starfix movies magazine and creator/translator of the Zenda publishing company! Willing to support us in our project, Richard CORBEN has accepted to enable us to include extra unpublished contents (in French, that is), as well as agreed to sign a hundred certificates of authenticity to reward the fans who will help us reach the highest possible Stretch Goals to make the classiest possible edition. 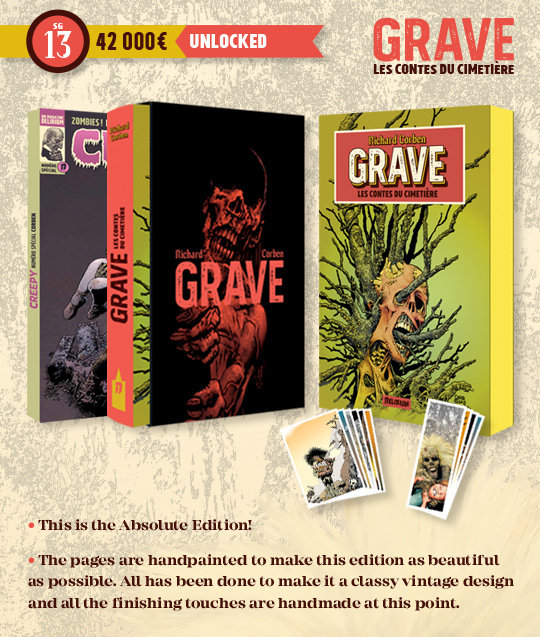 The more you will be to support this project, the more beautiful the edition we intend to publish. 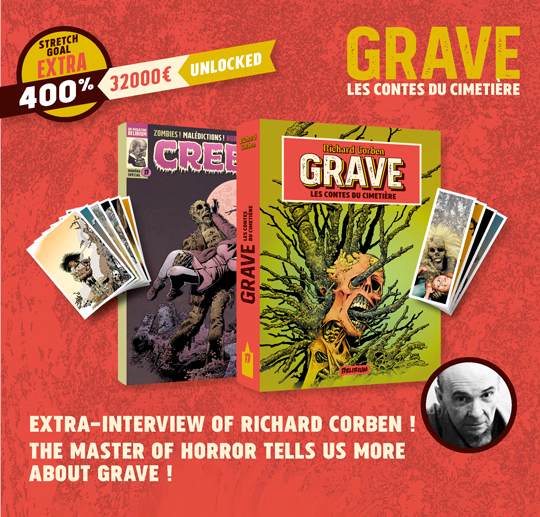 As passionate as you are, we admire Richard Corben’s work, his total and visceral editorial and artistic independence and his free-flowing fantasy visions, which have finally been rewarded with the supreme award for Comic-book creators, the GRAND PRIX of Angoulême 2018! 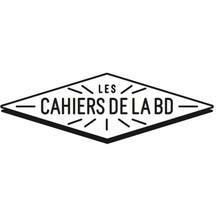 To support a new and ambitious editorial project, impossible to achieve for a small independant publisher for the classic retail market. 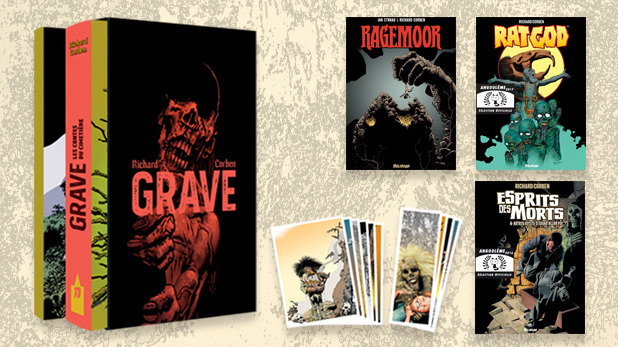 To make a beautifully crafted edition, with high quality material and classy design, including a glossy strong protective box case, handmade craft such as sewn glossy covers bound in the page leaflets or hand-painted pages. 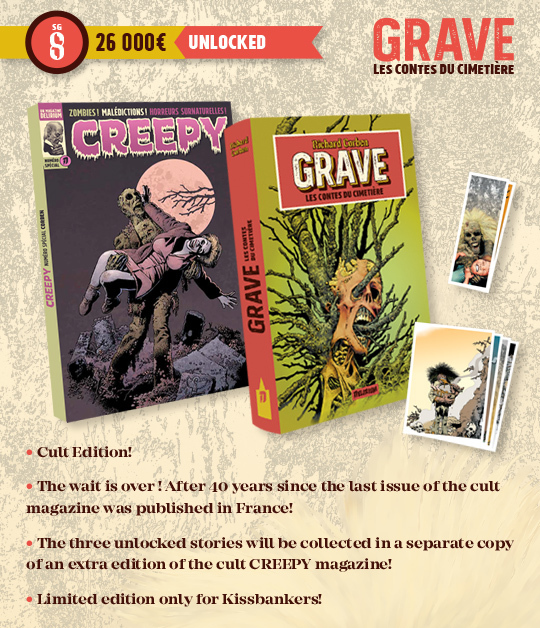 To enable us to add extra unpublished contents and publish them in an exclusive additional magazine! 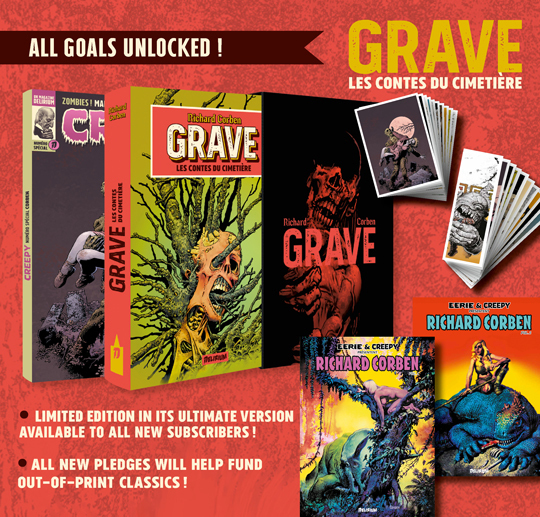 Our aims are numerous: each stretch goal reached enables us to improve the quality of the edition, to add extra contents, to reward a little more the author and team working on this project, increase the print run, or help us reprint classics! - 26 000 Euros: we can make an already classy edition with an additional magazine featuring extra unpublished contents! 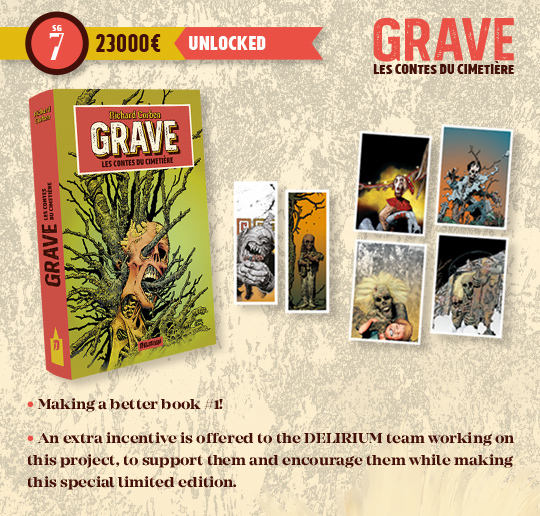 The whole Delirium team thanks you for your support !